One possible gift to come from the mass bloodshed of 20th century totalitarianism: perhaps the history will serve as a lesson for the future. If that is to happen, however, we need to know the history, and not avoid it, much less deny it. To make sure we understand – that we care about what is in fact a historical abstraction for the current generation – increasingly falls to the filmmakers. This is the medium by which people today discover a past they did not experience. It is just too easy to look away. Few people travel to the nation’s capital with the ambition to tour the Holocaust Museum, for example. I totally get it. But out of all the exhibits in this city, this is the one that offers the most powerful lesson about human rights and dignity, and the existential threat of centralized power, as well as a warning against the politics of violence and where it leads. The Holocaust Museum stands there as a rebuke to a sin you did not commit, a horror you see no need to face, evidence of a blight on humanity from which you would rather avert your eyes.Yes, everyone needs the message. At the same time, hardly anyone really wants to come face to face with the full expression of horror and evil that the Holocaust represents, and what it meant for Europe and the so many millions of victims. It is more comforting to spend time at the monuments to greatness, virtuous leaders, and war victories, however much these traffic in mythology. Why learn about death camps that killed millions when you can use your time to admire monuments to bravery in war? The Holocaust Museum stands there as a rebuke to a sin you did not commit, a horror you see no need to face, evidence of a blight on humanity from which you would rather avert your eyes. This is why “Holocaust Denial” is not just the designation for a gaggle of self-publishing cranks and Nazi apologists. It is a general tendency that everyone possesses to look away from a history that is almost too recent and too morally egregious to grapple with. We just don’t want to face it. So making films about this topic is a financially thankless task. It will likely not realize commercial success. And yet it must be done, simply because right now there are still people alive who remember and can tell what happened. There are soldiers on all sides who were there, and even now there are people alive and living in the United States who were small children who survived the experience thanks to those who resisted. The time will come in the not-too-distant future in which this will no longer be the case. These were my thoughts when I decided to head to the independent theater to watch an extraordinary film about one part of what we call the Holocaust. It is called The Zookeeper’s Wife. It tells the terrifying but inspiring story of how the Warsaw Zoo in Poland – very near to the Nazi-run Jewish ghetto that held 300,000 people in near-starvation conditions during the war – became a center of resistance. The inspiration part here is key: it is not enough to become aware of the fullness of evil of the German occupation; we also need to know how goodness and heroism can find expression even in the midst of mass death. The entire ghetto was then burned to the ground.The German army used the zoo for barracks, but the zookeeper and his wife secretly used their quarters to hide and smuggle out as many as 500 Jews during the war – hiding people in plain sight, so that their lives could be spared the machinery of death. Agreeing to let the zoo be used by the occupying troops, the zookeepers proposed also that they raise pigs to feed soldiers. The pigs would be fed with the trash from the nearby Jewish ghetto. This plan allowed the zookeepers access to the ghetto itself. They then took to smuggling people out, and hiding them until they could falsify papers and smuggle them out of the country. The film takes the viewer all the way to the end of the war, even showing the moment when Jews were rounded up out of the ghetto and put on cattle cars straight to Treblinka for their demise. The entire ghetto was then burned to the ground. The story is absolutely terrifying to the point of being surreal. One keeps asking the question: how could civilized, decent people do these things to other human beings, simply on grounds that they worship in the wrong religious tradition? It is the measure of what a murderous ideology does to the human mind and to the moral conscience. Once you make the decision that human dignity is tied to and measured by a particular trait like religion or race, any amount of immorality becomes possible. And when you back that ideology by state power, and the legitimacy that comes with legality, you get unconscionable results. Sometimes films like this turn Nazi officials into cartoon characters of evil. The Zookeeper’s Wife was different. It portrayed the Nazis as real people with normal emotions and behaviors wildly distorted by an ideology of power. Their crushing of the resistance was merely an extension of their initial buy-in to an evil regime and theory of society. The film is particularly adept at portraying the amazing arrogance of Nazi leaders who invaded Poland and immediately began treating the entire country as their personal possession. The conceit was pervasive to the point of affecting even Hitler’s own favored zoologist who took control of the Warsaw zoo. He conducted experiments on animals in hopes of bringing back ancient species – engineering the animal kingdom in the same way Nazi ideology hoped to manage people. For the current generation watching this historically accurate film, I can easily imagine a slight doubt creeping in. Is this really authentic? Was this really the way it was, or are we getting an exaggerated picture based on the filmmaker’s agenda? Is this just guilt manipulation masquerading as history? You don’t have to take historians’ word for it.Well, I’m grateful to have seen a Nazi propaganda film about the invasion of Poland before having watched this film. You don’t have to take historians’ word for it. The Nazis themselves bragged about their invasion and made a film that attempted thoroughly to dehumanize and demonize Jews in every respect, to make an entire people seem not just expendable but also to impart a sense that these people need to be exterminated. As I first walked into the theater, I was immediately struck by the complete absence of young people among the crowd. Everyone was of a certain age, shall we say. This was the ideology that destroyed civilization in Europe, the very center of what we call modernity.It was only after the movie ended that I realized what was going on. Standing outside the theater, I began to listen to conversations. There had been a pilgrimage of sorts, from a group of 80-something Jewish lady friends in Atlanta. They had come to see the movie. And they were talking amongst themselves outside, when I interrupted and asked what was going on. Which is a strange thing to say, as if only Jews should or could care about Jews. And yet, this was their experience. This was the ideology that destroyed civilization in Europe, the very center of what we call modernity. This was the ideology that almost destroyed the whole world just a few generations ago. It remains part of the living memory of people who are still around today. I would have stayed and talked longer but after this film and in the midst of these wonderful people, I had no words. Only tears. Do we have something to learn from this? We do. The only reason people resisted was because they didn’t believe the politicians who said that Jews are dirty rats that needed to be exterminated, because regular people were willing to defy the law, and because these people had the moral courage to take it upon themselves to stand up for human rights. God help us should we ever face a situation in our own lives when we need to act in the interest of human rights and in the same way – or need others to act on our behalf. 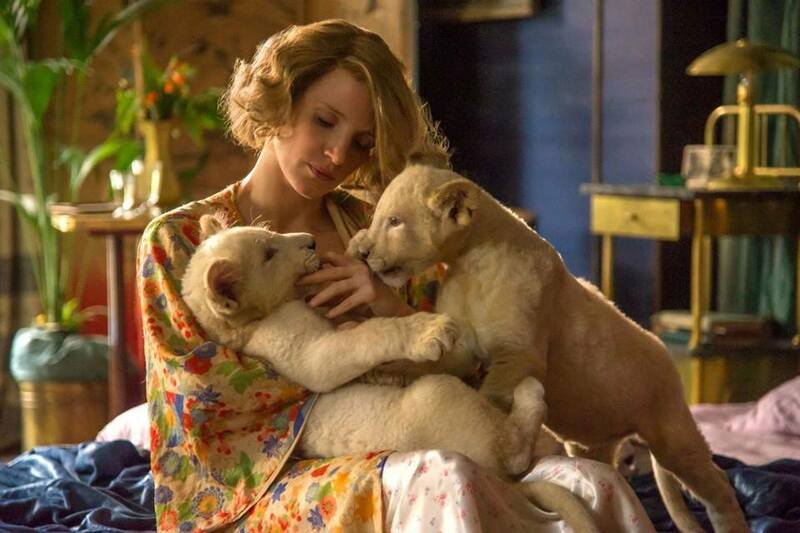 This is why films like The Zookeeper’s Wife exist. I find it extraordinary that Jeffrey Tucker seems to maintain that there has not been enough dramatization of the evils under German National Socialism. It has been fodder for the entirety of the nearly two generations of filmmakers since the defeat of Adolf Hitler. With just a few exceptions, the horrors of life under Soviet Socialism & Chinese, Viet-Namese & Cuban communism and the various other permutations, remain largely unexamined by Hollywood. Four exceptions have been Dr. Zhivago, One Day in the Life of Ivan Denisovich, The Chairman and The Killing Fields. “…fodder for the entirety of the nearly two generations of filmmakers…”? So what? If the treatment was superficial, e.g., focusing on unexplained or irrational actions that elicit strong emotions but not thought or analysis, then the dramas were empty, to be seen and forgotten. They were as enlightening as a horror or slasher movie, but without the thrills of fake danger and accompanying emotional release. Who wants that? Few. Only those with a personal connection or those who are seeking to understand a sociological phenomena. I am in the latter group. I had to suffer the same footage in vain for decades and many documentaries before I was given a clue. In an interview two twin death camp survivors were asked why they did not resist, in fact helped their tormentors. They had decided after some discussions that “better the devil they knew than…”, meaning they were frightened of new places, new cultures, leaving Germany. They chose to stay and obey. They knew people were fleeing. And they knew they could also. But they made an explicit choice not to, like most. It was common to do nothing except “go along to get along”. It was considered less risky, a conservative, safer choice. And it required no courage to be like the majority, to cheer the “leader” and pretend. But not all Jews pretended. Some did support the Nazis. And they wanted to obey any order without question, to prove they were good Germans. This is also documented by personal interviews. Even most Russia villages near the borders were happy at first to see Nazis. Looking back we may ask: How could they be so blind? But remember, not all were. Twenty-five percent got out. So what explained the split of opinion? The differing actions? Why would an invaded village welcome the invaders? The Iraqis welcomed the American invaders as heroes, liberators, at first. But as the months went by that began to change. Their uninvited “guests” began to wear out their welcome. Why? That is not discussed in the US media. The reason is the same for both the Nazis and American forces. Being liberated does not mean serving a new master. When American forces violated every human right they swore to uphold, they were the new oppressors. But what of the German Jews? Why did they support the Nazis? Why did the other Germans? The reason is the same. They were all being good citizens, i.e., they believed in obeying authority. And they believed what they were told, even when it went against their morals and common sense. Of course, this is not how they experienced their servitude. They rationalized and explained away the contradictions or ignored them. Isn’t this what most citizens of all countries do? Isn’t govt. only possible by popular support? Isn’t that support only possible when accompanied by extreme cognitive dissonance? Who would allow themselves to be exploited their whole lives and still give their sanction? Who would obey oppressors willingly? Only those who refuse to acknowledge the reality of their political/economic system. Only those who CHOSE to believe lies. This is called: The sanction of the victim. It is the hallmark of a crippled psyche. It is not blindness, but partly fear of admitting that most of what they were taught was a myth and confusion because they were not taught how to think for themselves.